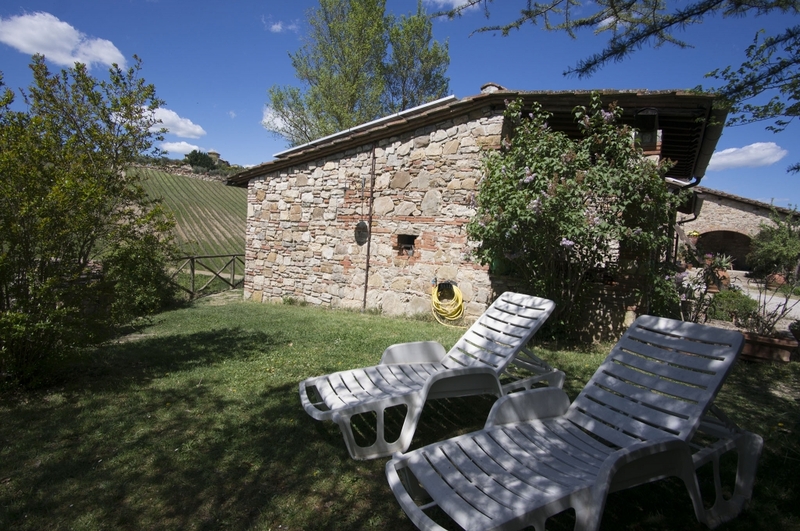 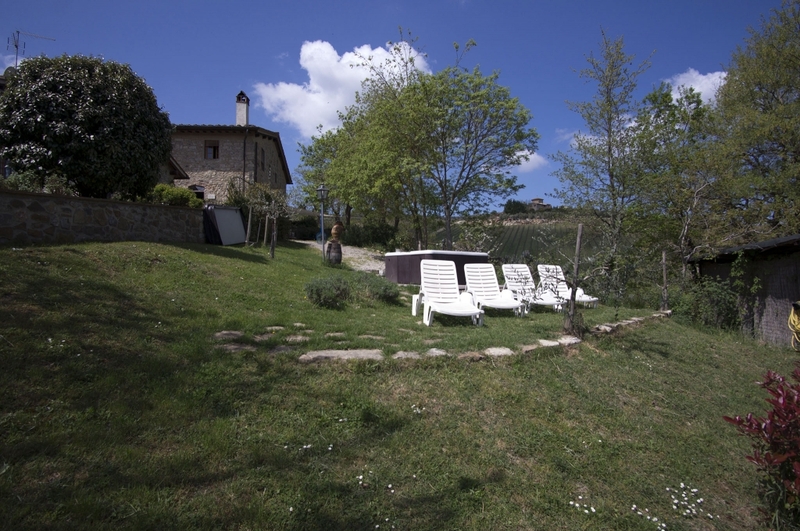 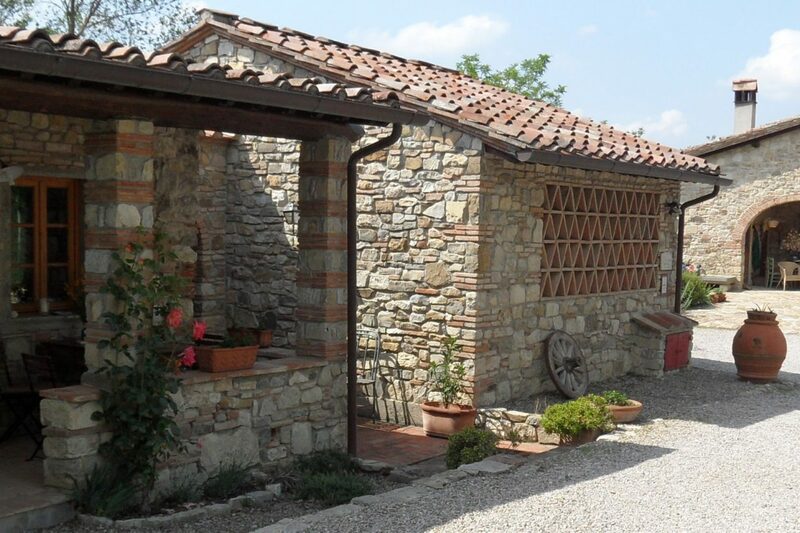 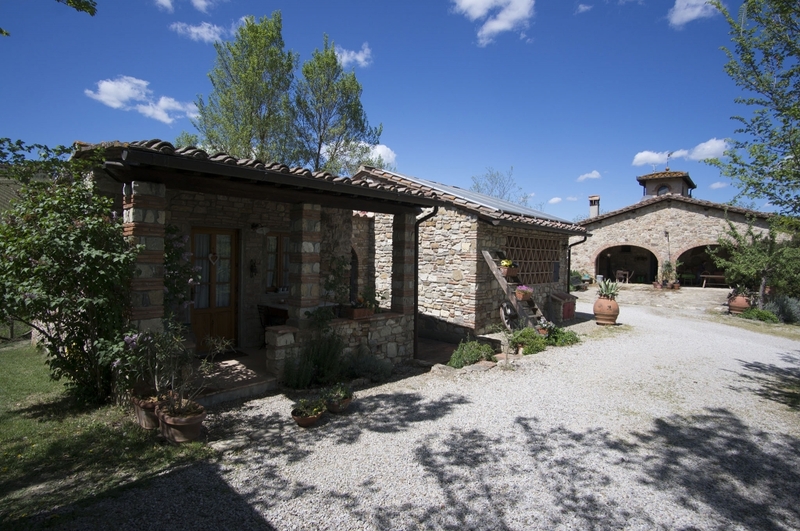 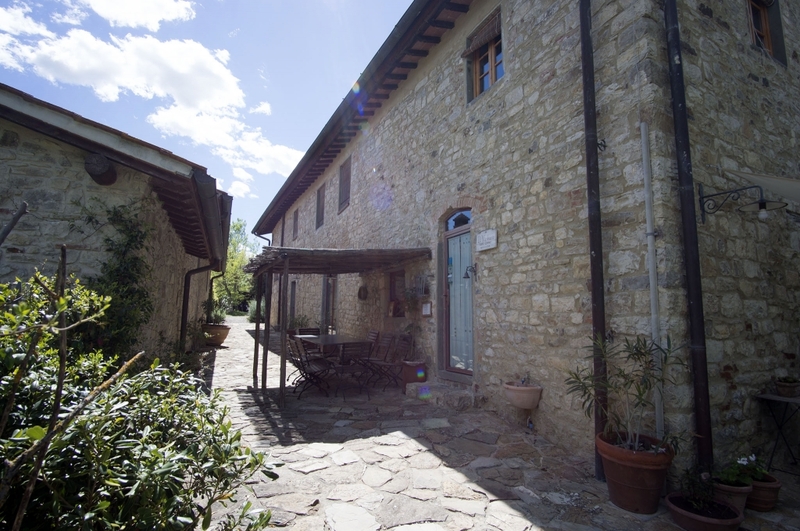 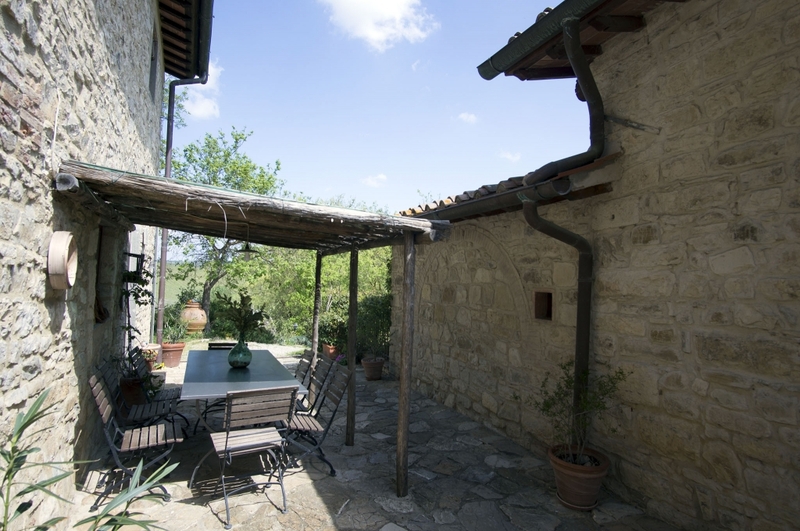 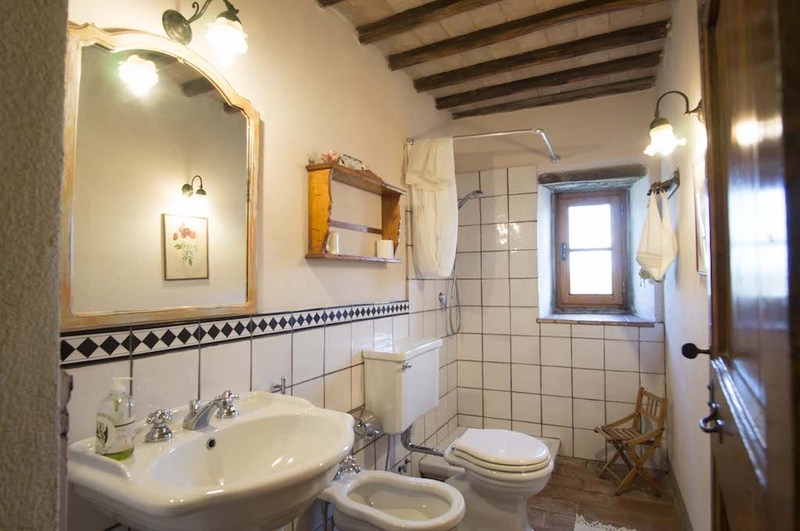 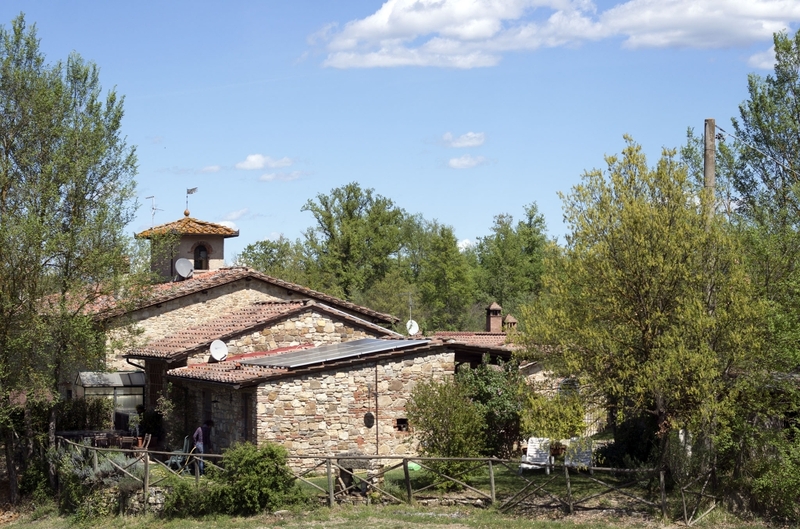 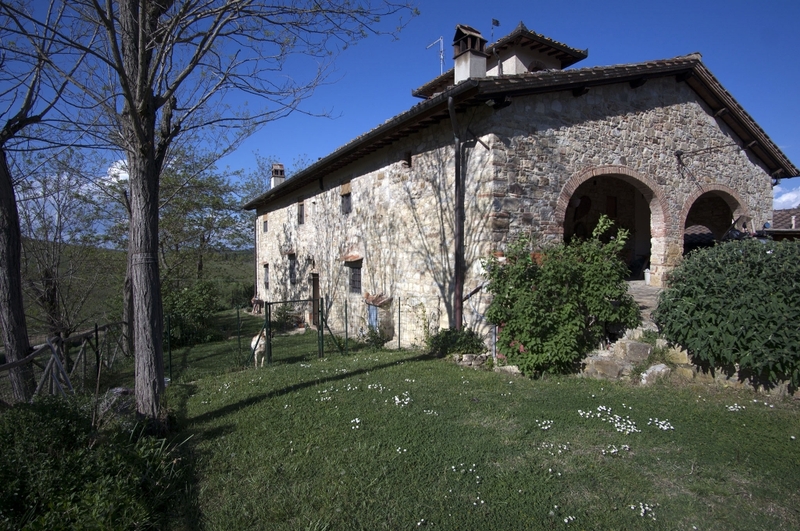 You can choose to spend your holidays in Chianti in Self Catering Houses or Bedrooms with private bathrooms. 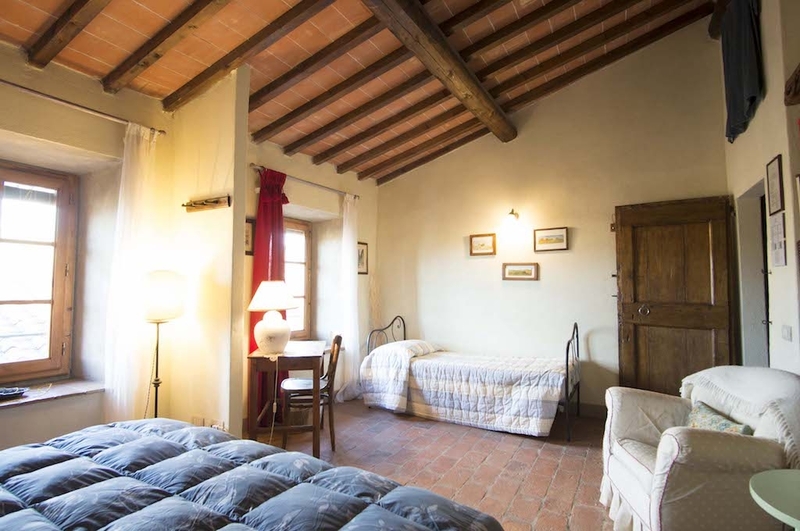 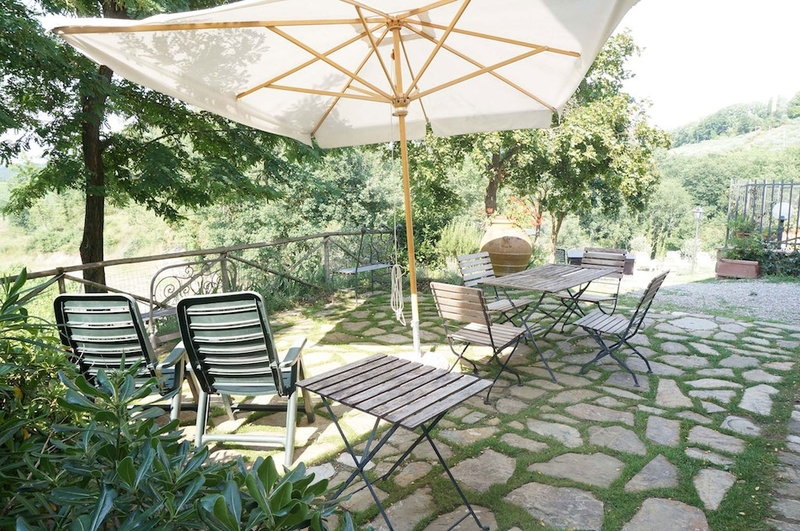 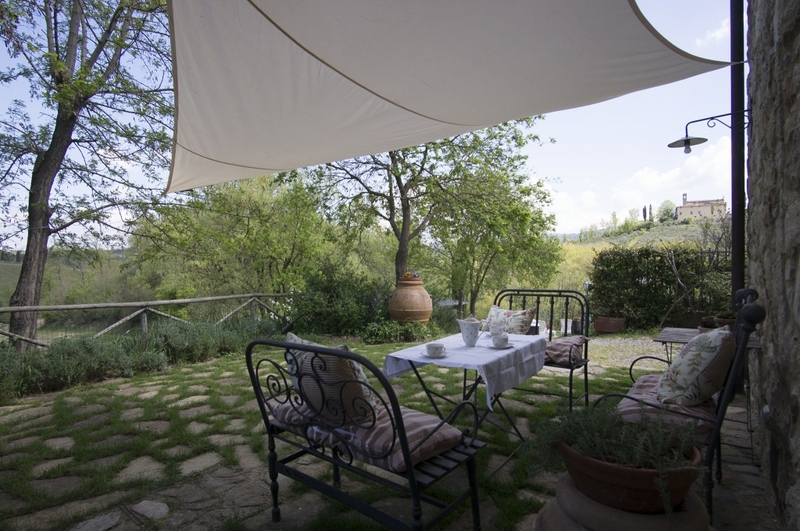 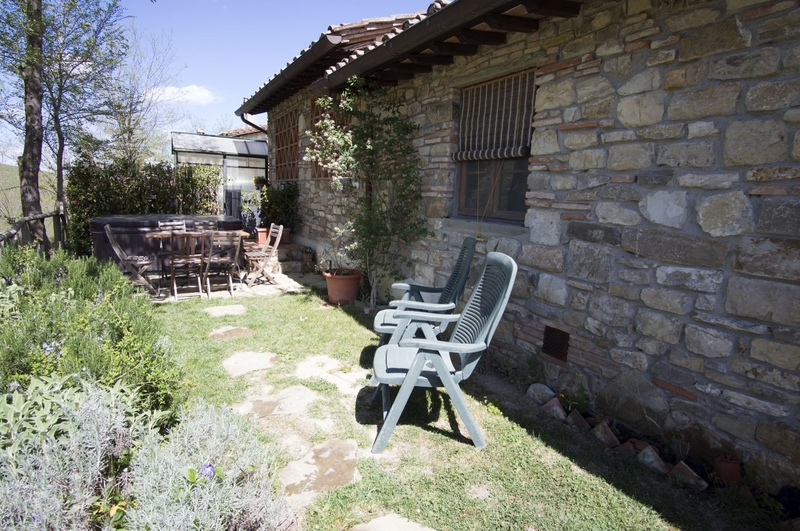 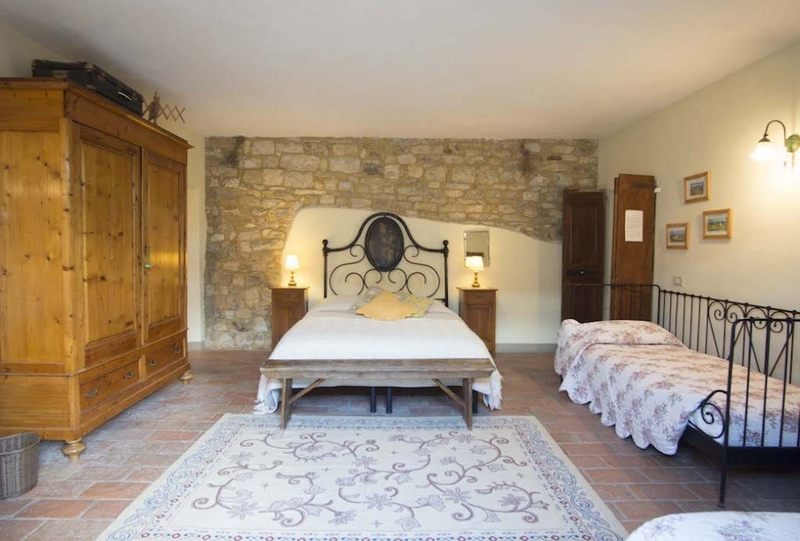 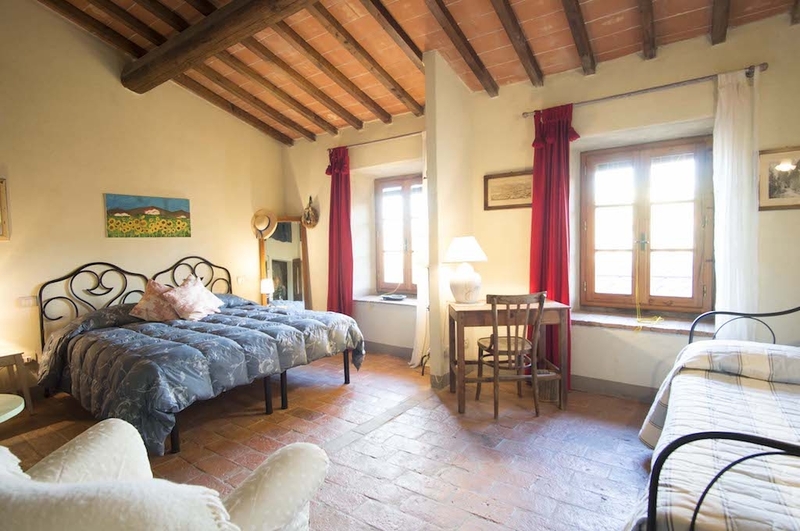 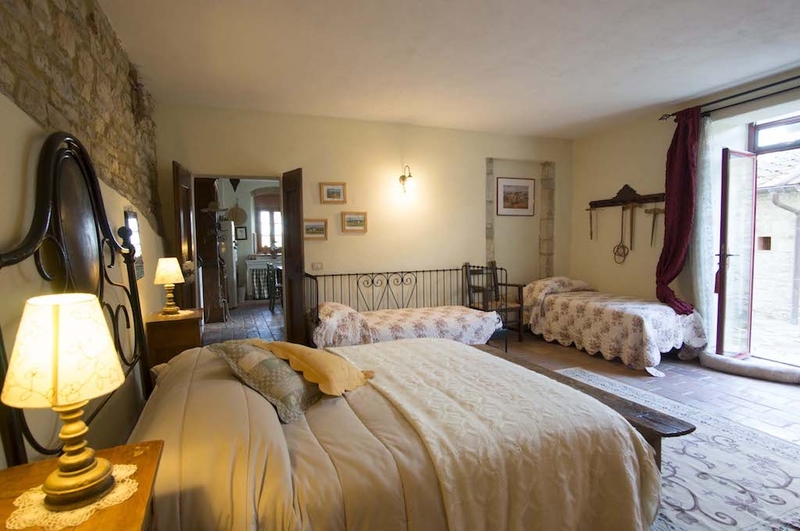 Il Vichiaccio country house in Chianti offer self catering houses and bedrooms with private bathroom, to accommodate couples with or without children and groups up to 11 people. 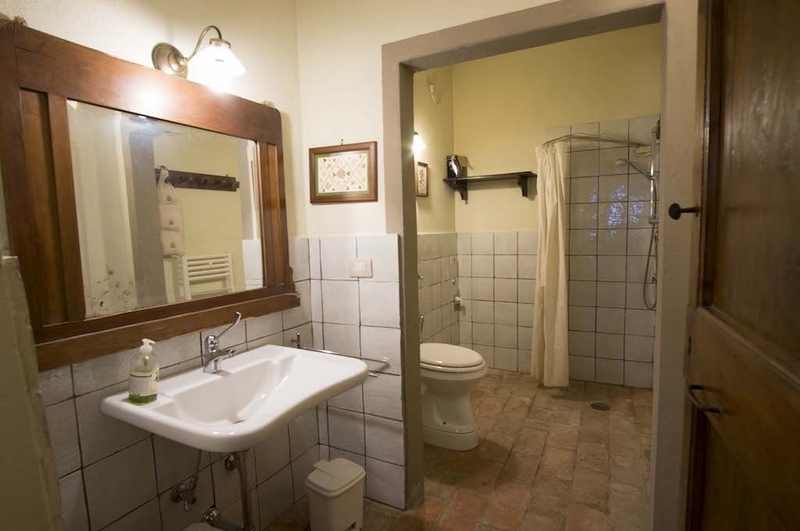 Each house, equipped and furnished with antique furniture, has its own private garden, with a porch and a jacuzzi. 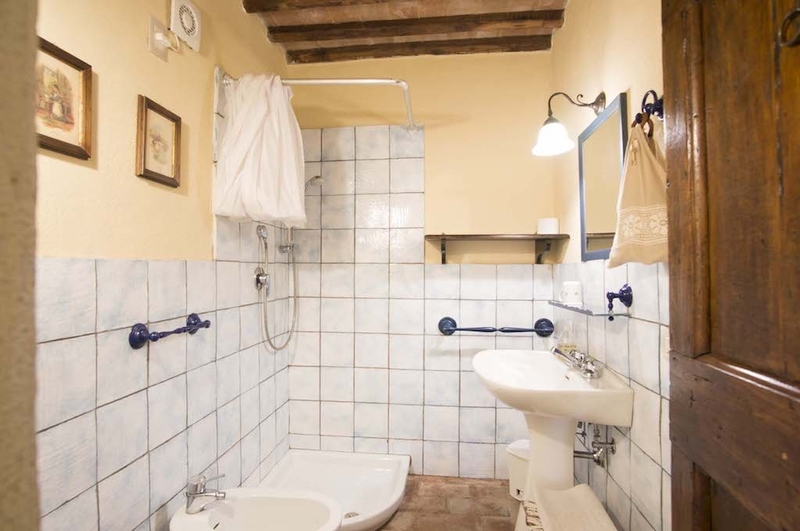 Each bedroom has its own bathroom and can rely on common areas equipped and comfortable. 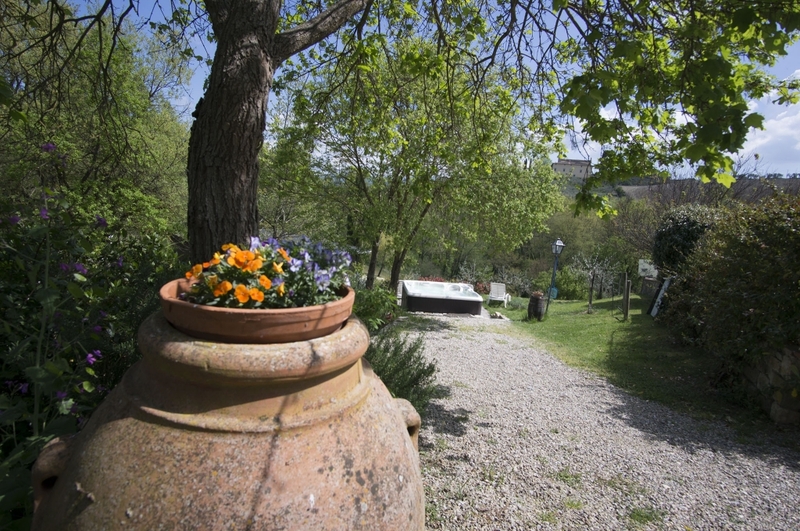 Pets are allowed and welcome. 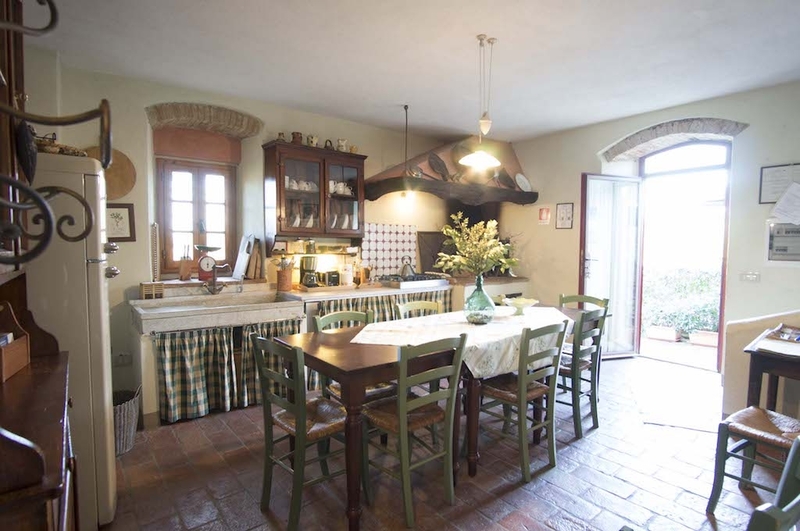 The big kitchen of Sant’Angelo house. 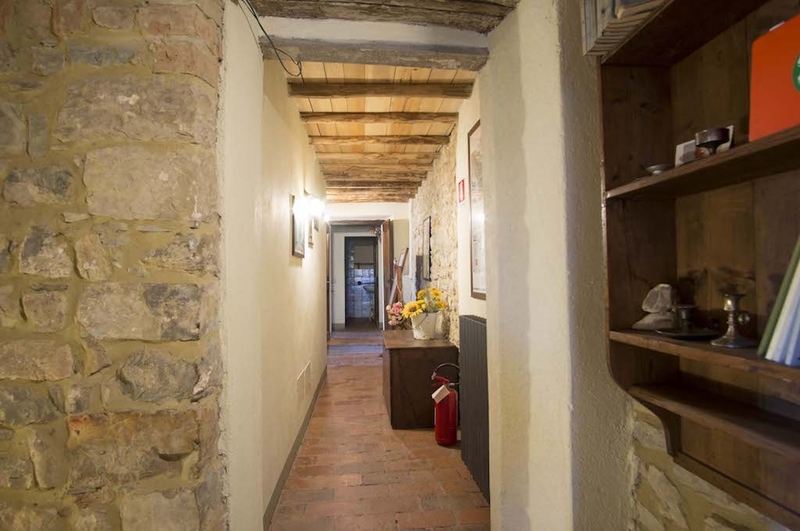 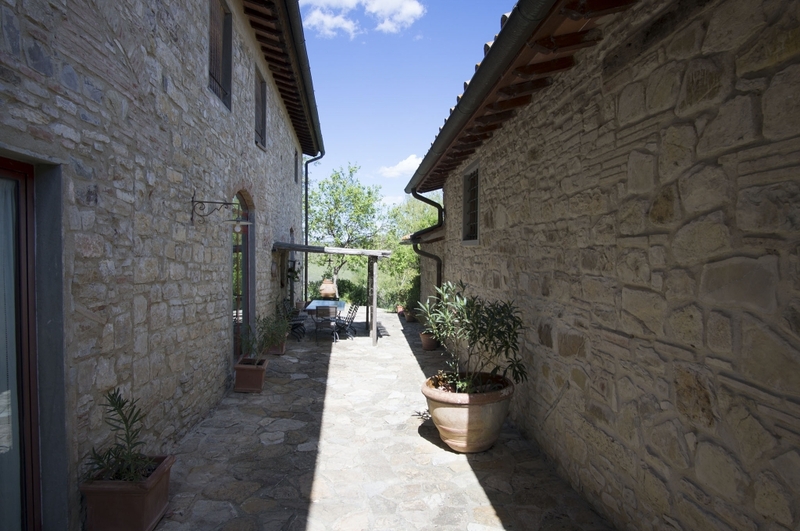 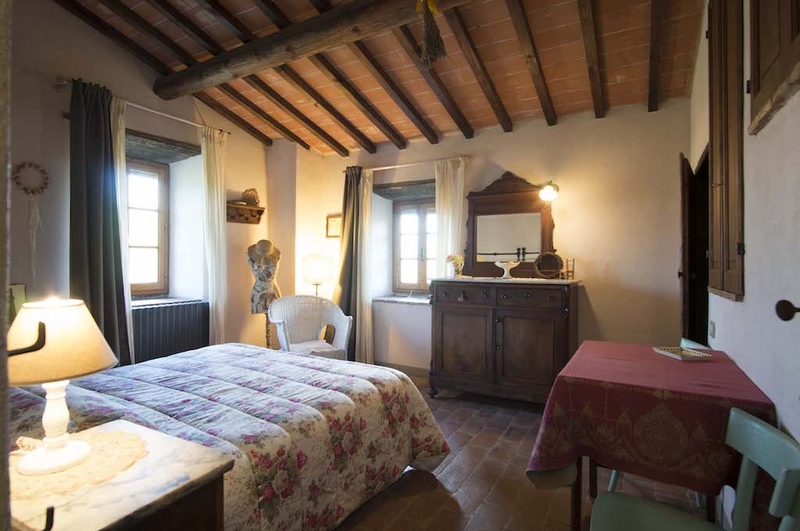 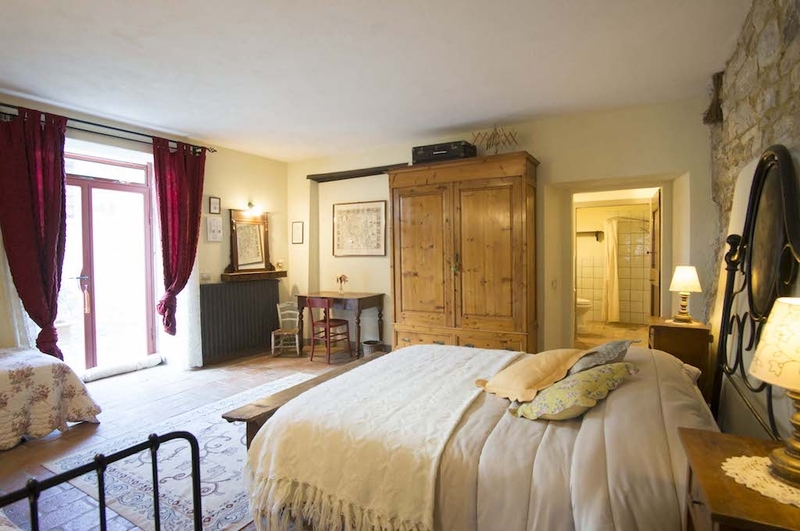 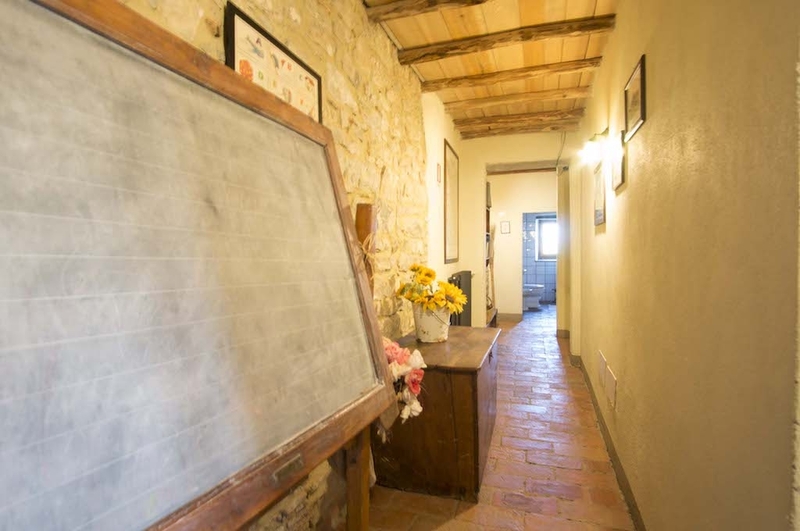 Sant’Angelo is a 135 sqm flat in the main building of the farmhouse. 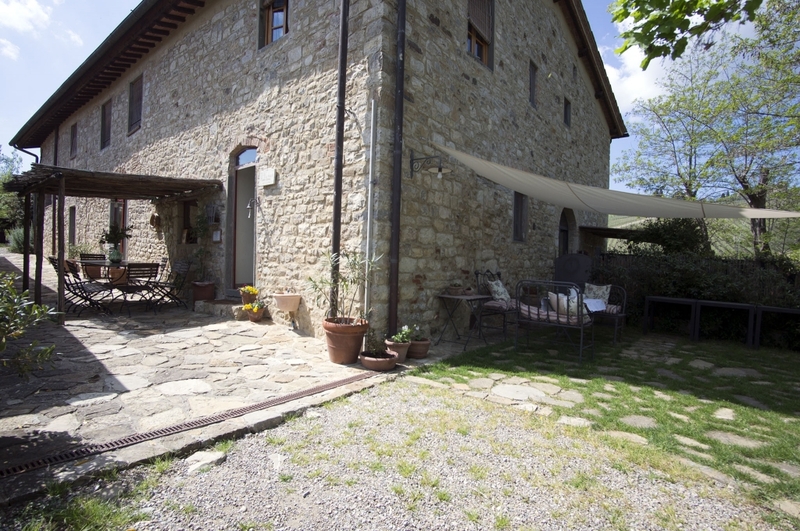 It can accommodate up to 9 guests in 3 bedrooms. 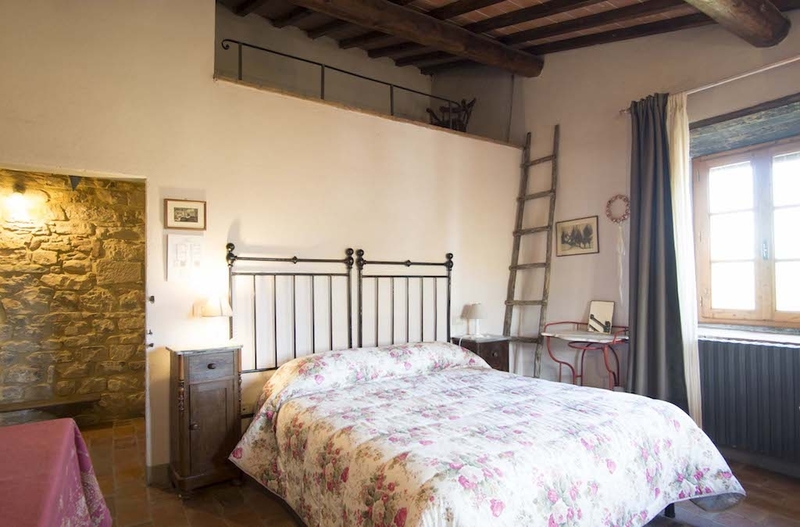 On request it is possible to add a 4th bedroom. 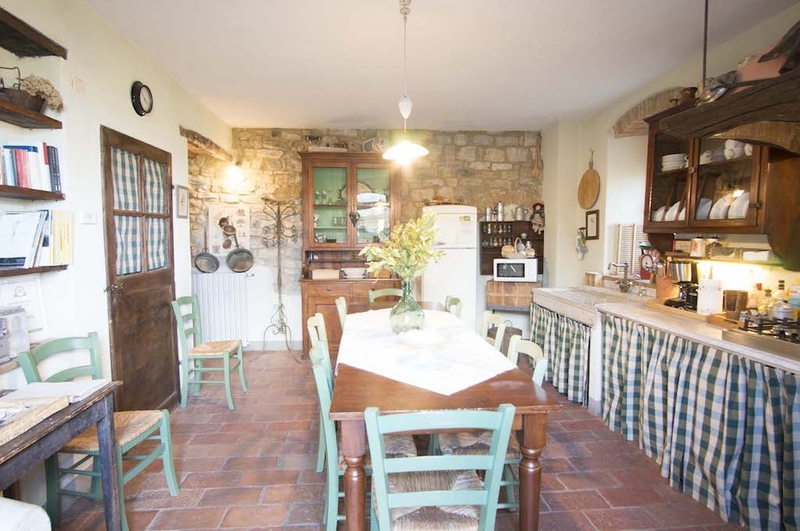 It features a kitchen fitted with a warm and traditional fireplace and 3 bedrooms, each one with exclusive bathroom. 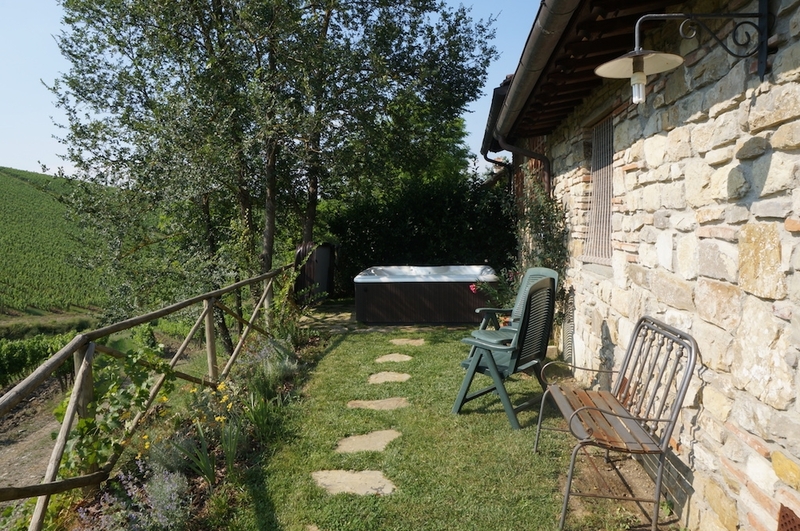 A large garden, with an heated Jacuzzi, is at exclusive use of the guest of the San Angelo house. 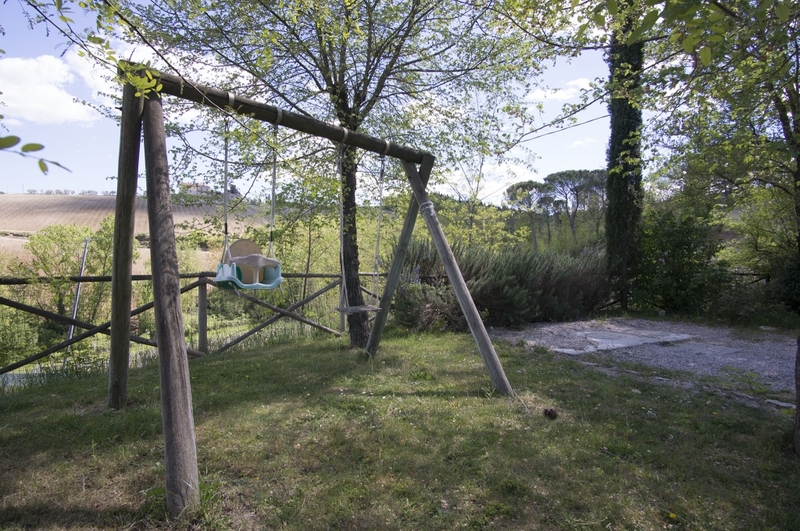 A private parking for 3 cars, football field, tennis table, children area complete the property. 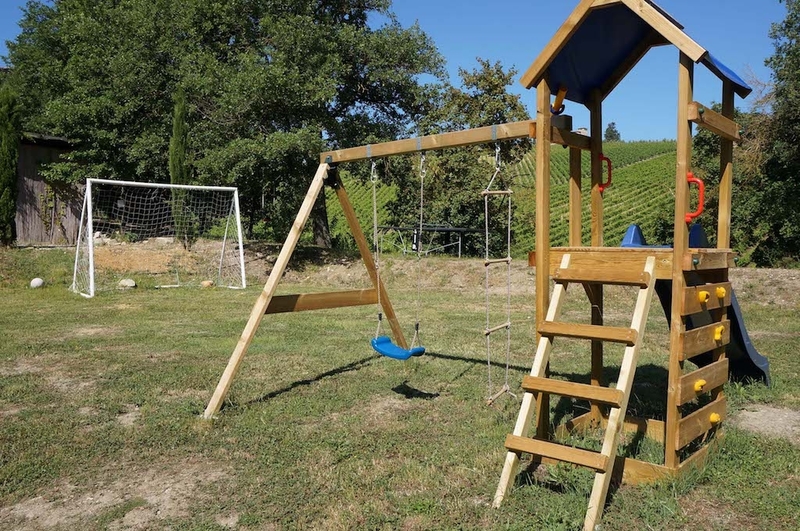 Baby cots are available for free. 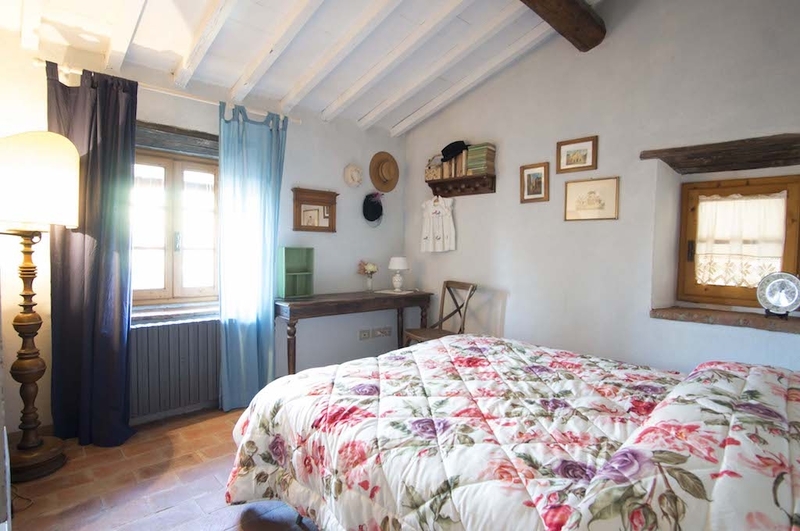 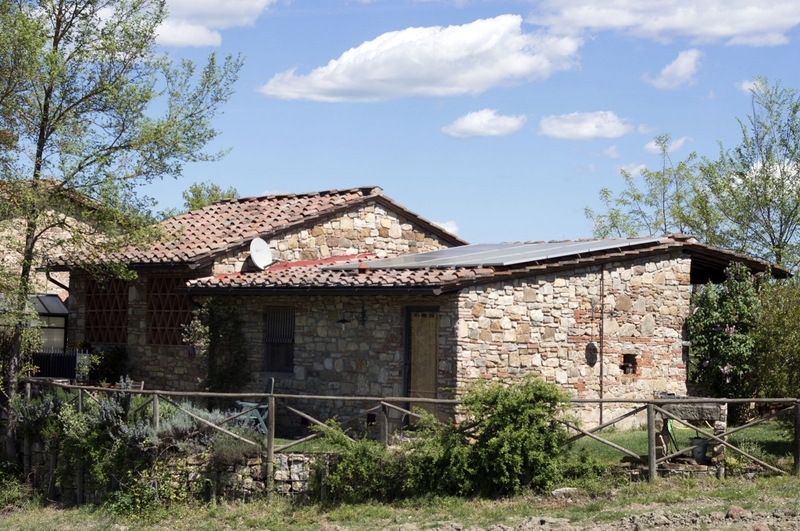 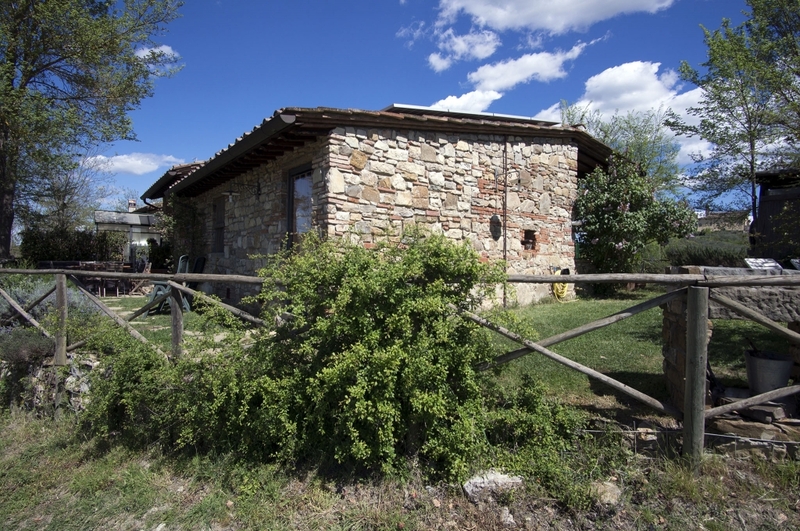 Il Fienile is a 70 sqm flat based on an old cottage. 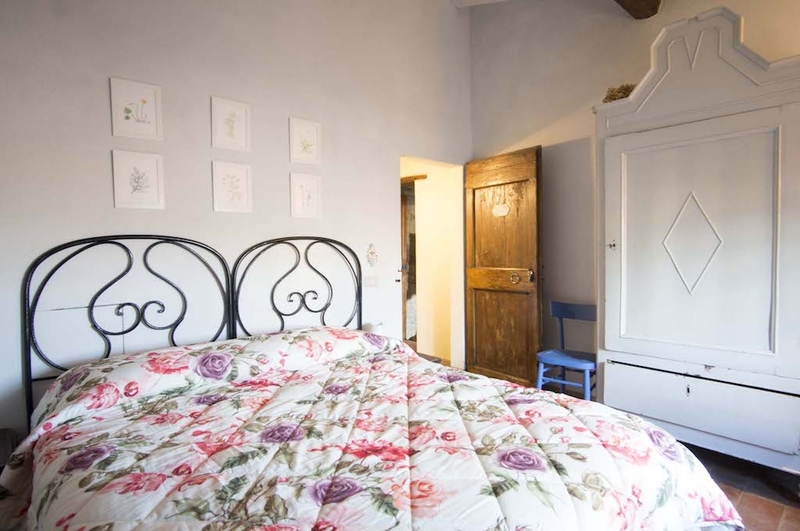 It can accommodate up to 7 guests in two bedrooms and in 1 sofa bed. 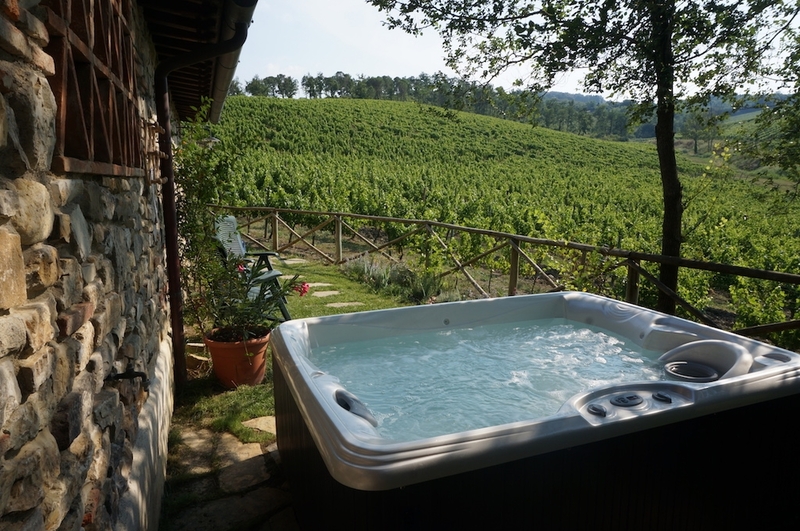 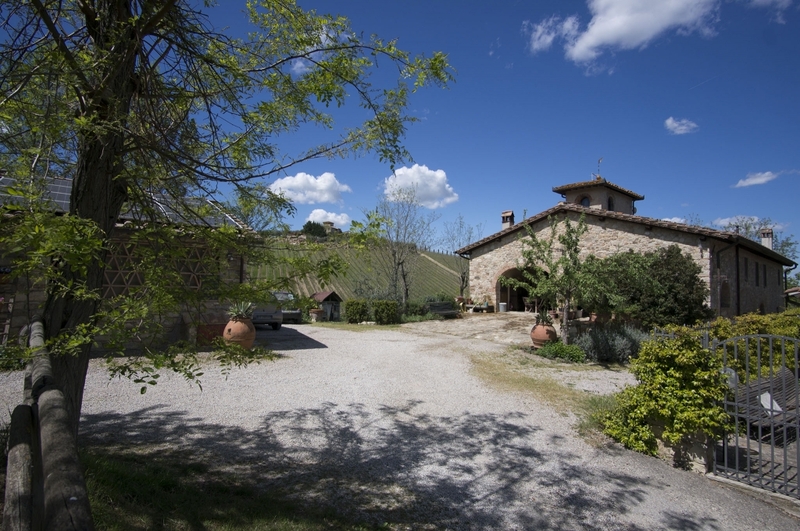 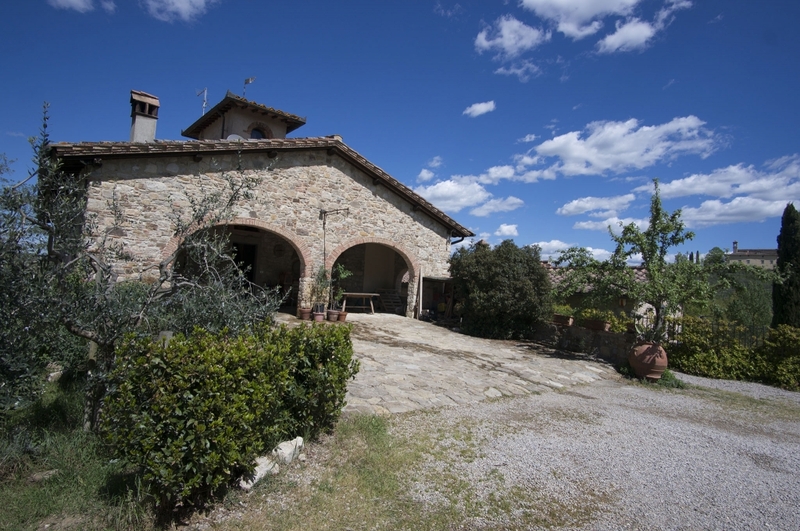 It features a large garden, with an exclusive heated Jacuzzi which offers an incredible view of the Chianti’s vineyards. 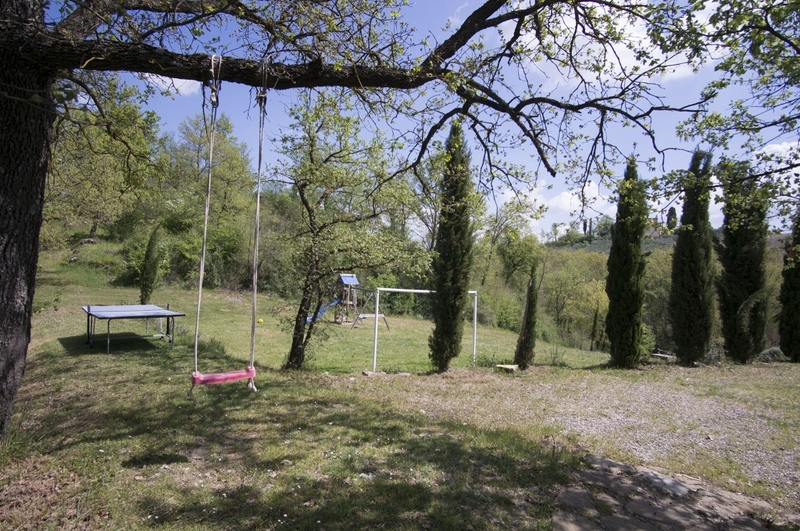 A private parking for 2 cars, football field, tennis table, children area complete the property. 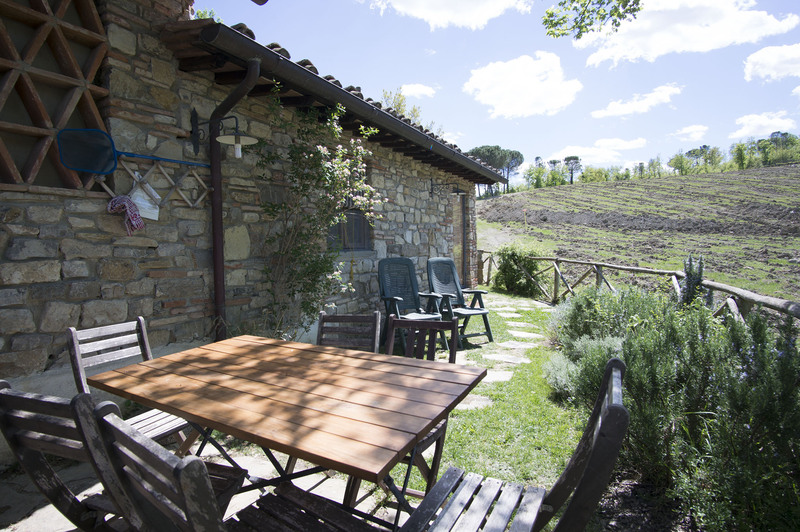 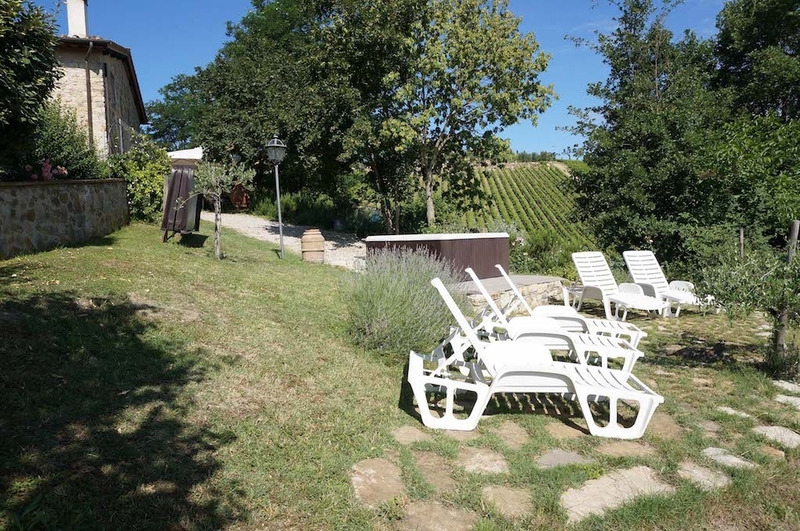 Each house has an independent garden and a patio where you can enjoy a meal or just a glass of wine outdoors, with a magnificent view on the Castello di Gabbiano wine estate. 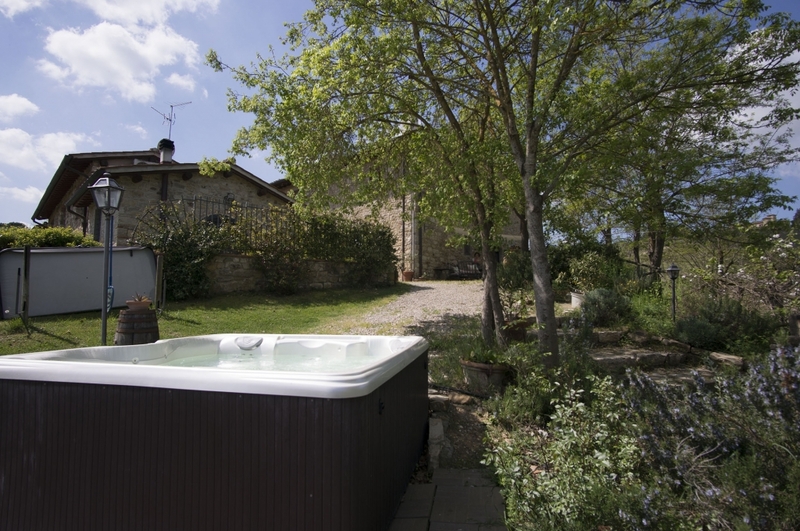 Two heated Jacuzzi are a nice addition where to relax at the end of the day spent to discover our country. 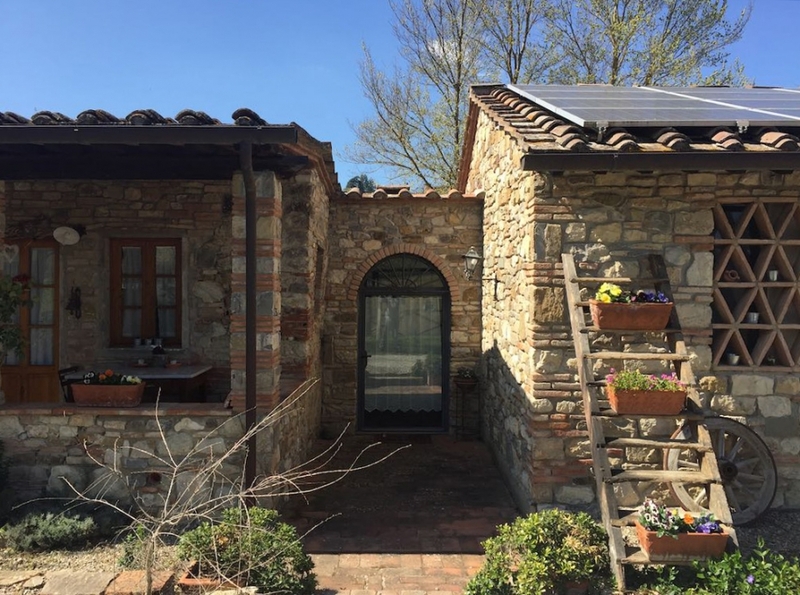 Borgo di Vichiaccio is a 16th Century’s typical Tuscan farmhouse within the vineyards of Chianti Classico, only 20 minutes away from Florence. 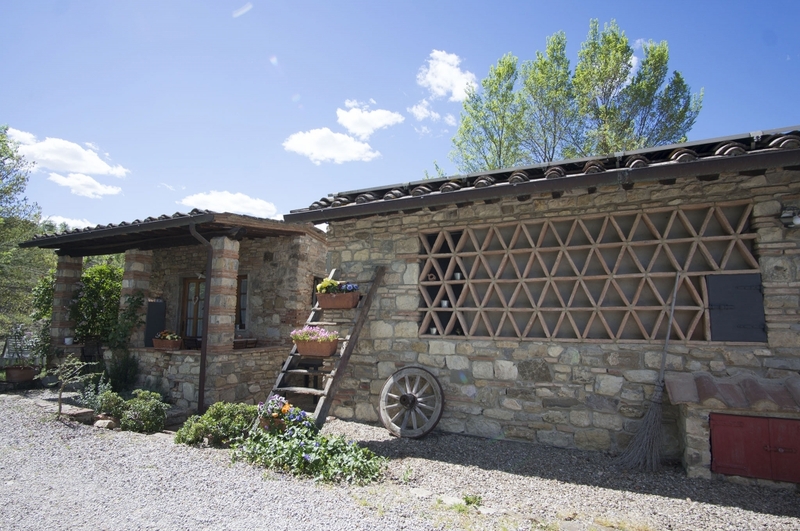 The property has been patiently restored with passion by its owners and open for those who seek homely and family-like hospitality. 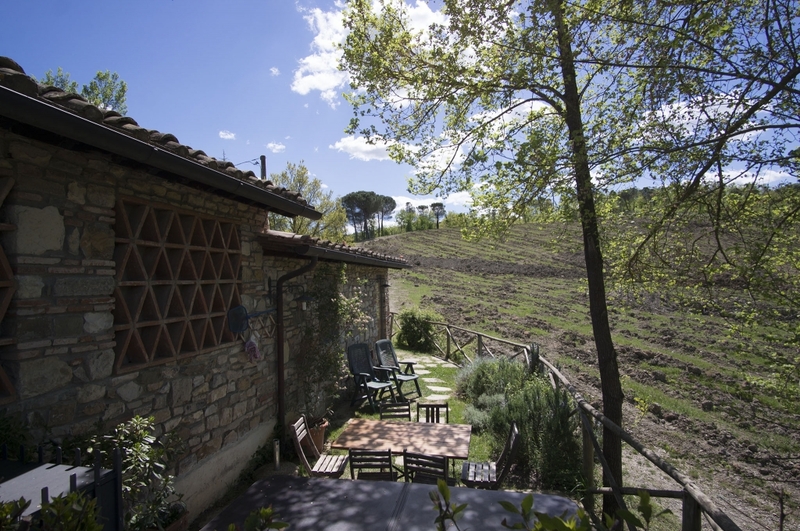 It is a good base to take day trips to nearby cities such us Firenze, Greve in Chianti, Impruneta, Siena, San Gimignano, Volterra, Pisa. 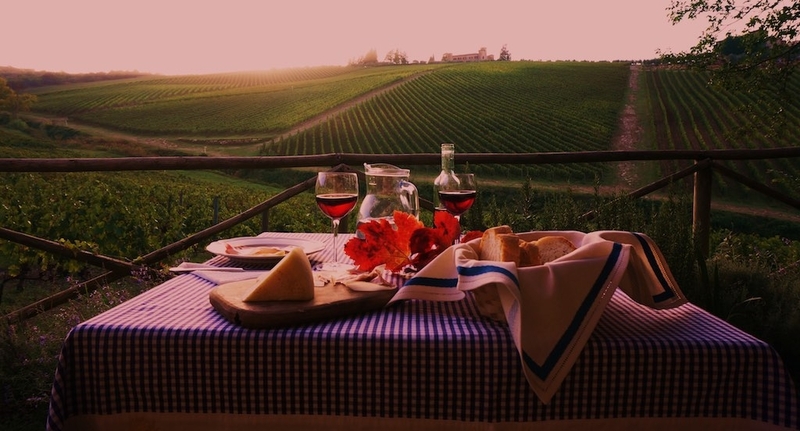 In the area there are many wineries and restaurants where to taste the famous Chianti wine and typical Tuscan food. 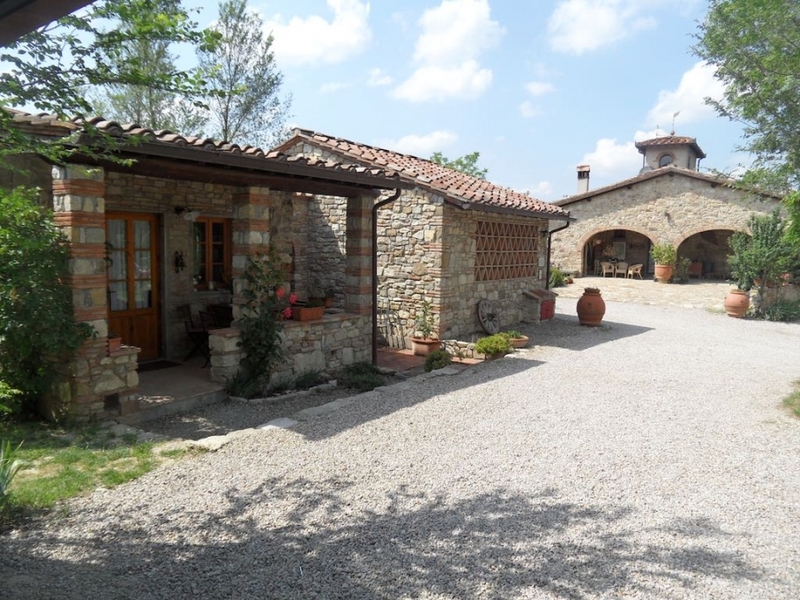 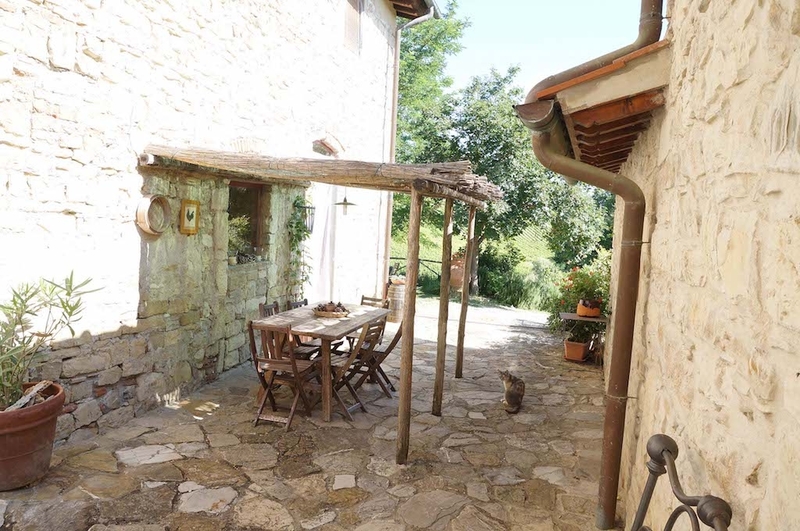 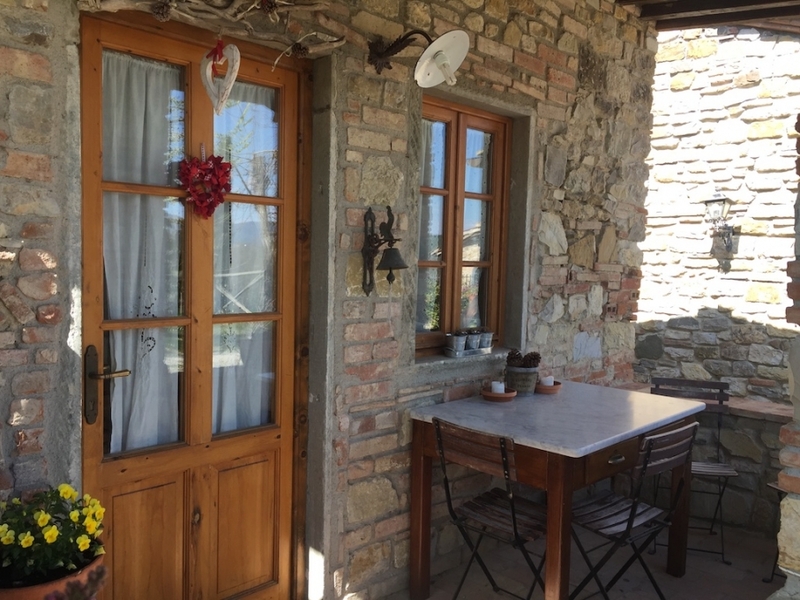 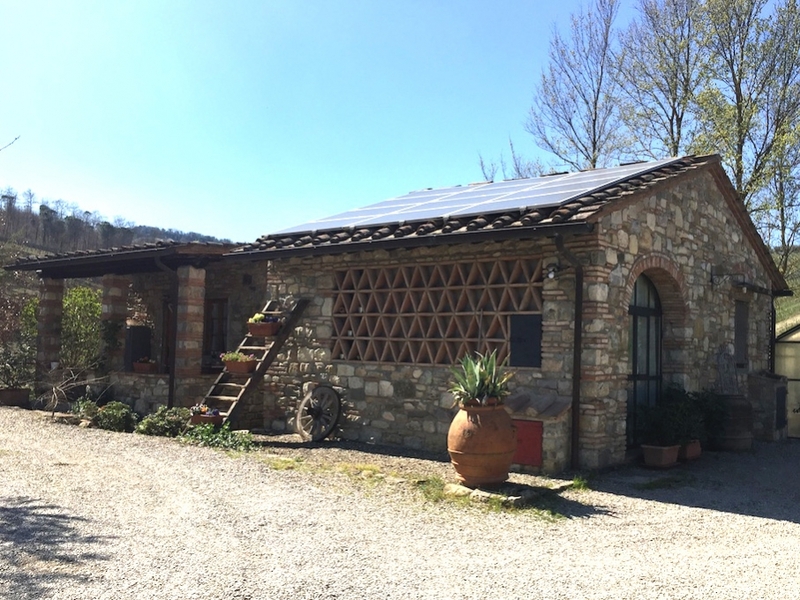 You can count on the presence of the owners for all the necessary information and suggestions about places to visit or to organize itineraries in the Chianti area by car, motorbike or bicycle and to buy local foods.